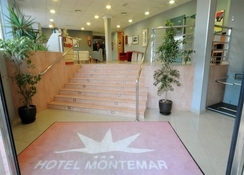 Hotel Montemar is an all-inclusive family friendly hotel right on the Poniente Beach in Benidorm offering panoramic views of the beachfront and the bay. 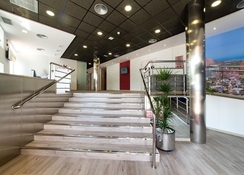 Just minutes’ walk from the beautiful promenade, the hotel, located opposite Elche Park, in one of the quietest neighbourhoods of Benidorm, promises a memorable stay in absolute comfort with its fabulous guest amenities and warm hospitality. 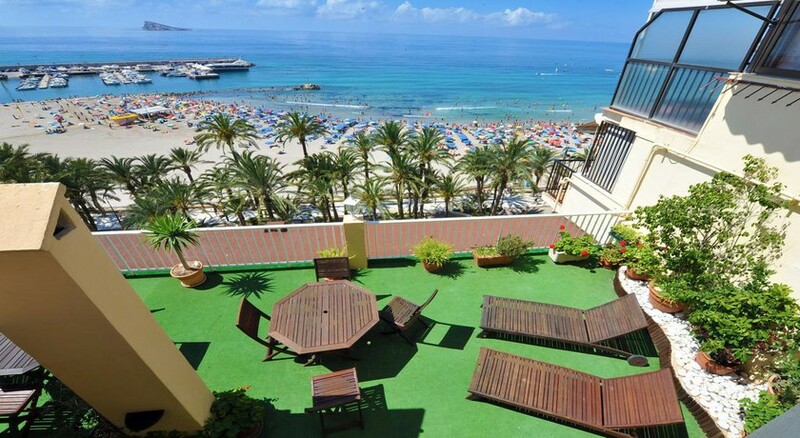 Featuring a 24-hour reception, easy access to beach, live entertainment programs, a lovely restaurant and free Wi-Fi, this hotel is a great accommodation choice for holidaymakers in sunny Benidorm. Tastefully decorated rooms in the hotel invite guests to rest in comfort amidst amenities like air-conditioning, tiled floors, free Wi-Fi and a TV. The hotel can help arrange tickets to local attractions or shows at an Additional charge. The property is less than 250m from the Poniente Beach in Benidorm offering panoramic views of the beachfront and the bay. It is few minutes’ walk from the beautiful promenade. 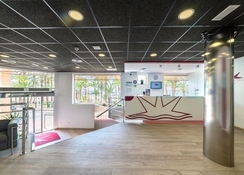 The hotel, located opposite Elche Park, is in one of the quietest neighbourhoods of Benidorm. The lovely harbour and Plaza Mayor Square are both 300m away from the property. The Alicante Airport is about 56km from the property. 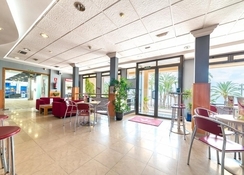 All 115 non-smoking rooms at the Hotel Montemar come with a telephone, safe and satellite TV, free Wi-Fi, air-conditioning and heating, en-suite bathroom with hairdryer and full amenities. Rooms with extra space and amenities such as VIP rooms (6th and 7th floor) and ELITE rooms (5th floor) come with magnificent sea views from a spacious terrace. These luxury rooms can be booked directly with reservations desk. Hotel Montemar has a lovely buffet restaurant which serves a sumptuous breakfast in the morning. Guests can watch chef Bartolomé Canales dish out delicious freshly-cooked meals in a dramatic style and enjoy delicious local and international cuisine. There is a Café-Bar at the hotel serving freshly-brewed coffee, cocktails, or a “tapa” against backdrop of the Mediterranean Sea. Guests can relax at the adjacent beach and soak up the sun at hotel’s sun terrace. The hotel offers lively entertainment for adults and children. There are television networks for kids. Board games/puzzles are available on-site. The hotel also has a helpful ticket and tour desk.